Completion of the first half of your journey occurs now as you reach your Full Moon Phase. 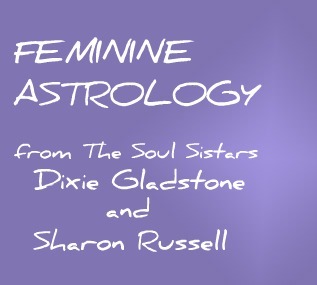 From your New Moon, which began about 14 and 1/ 2 years ago, until now you have been on the waxing or growing side of the Your Great Moon Cycle. This is the side of building form and growth towards the goal or dream you set at the beginning of this Cycle. It will take you about 3 ½ years to pass through your Full Moon. This side of the Moon’s journey, from new or dark phase (14 years ago) to full illumination (NOW), has been about getting in touch with and expressing your seed thought and creating forms for it to live in. Your waxing side has required action and growing independence as the moon waxed and traveled farther and farther away from its’ source, the Sun. You can see Full Moon easily because it is rising in the East as the Sun is setting in the Western sky. 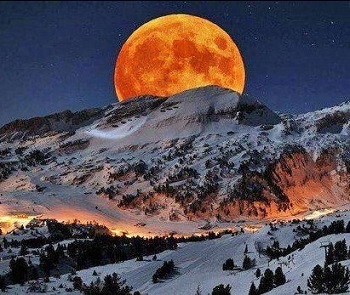 So if you go out at dusk, 2 weeks after the dark of the moon, you will see the FULL MOON RISE! Its light seems to quiver with life and becomes so bright as the sun sets that it illuminates the entire landscape. It creates another world. One we do not see by day! A Full Moon rises as the Sun sets! The moon will be up there in its full glory all night long until the sun rises in the morning! From time to time during a Full Moon night, go outside and experience this powerful Full Moon energy. She, the Moon, breathes back to him, the Sun, her essence and delight in living. And because she is full, she is aware. 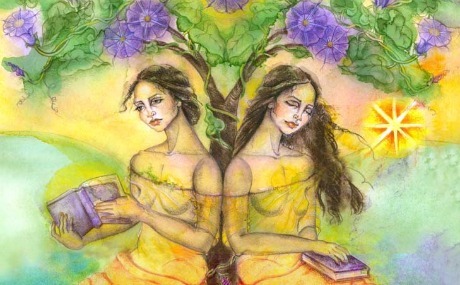 She reflects the qualities of a new spirit and the soul’s purpose is fulfilled in the form that is manifest. Full Moon is a phase of enlightenment, illumination. What is illumined at Full Moon is the form that you have been creating, this form is your valuable creation of Spirit, the one that will hold the seed and become the fruit of your future life. The full value of the Sun’s light, your Spirit, is now reflected in your Full Moon. Illumination also means: you are able to shine your light on the truth about what and where your life has become since the inception of your new cycle 14 and 1/2 years ago. You begin the WANING side of your journey as soon as you enter your Full Moon because a tiny bit of darkness or YIN energy now begins to emerge for the purpose of your Soul's growth. Yin Yang sign - you've seen this around, but now it can have a new meaning for you. See how the light and the dark interplay? Even in the light, there is a small bit of darkness and in the dark, there is still some light. 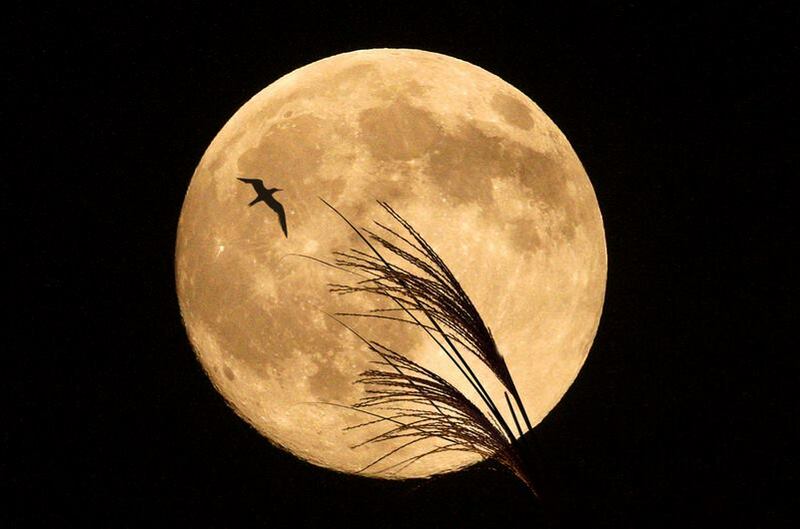 At Full Moon the full qualities of the symbol emerges into our lives. 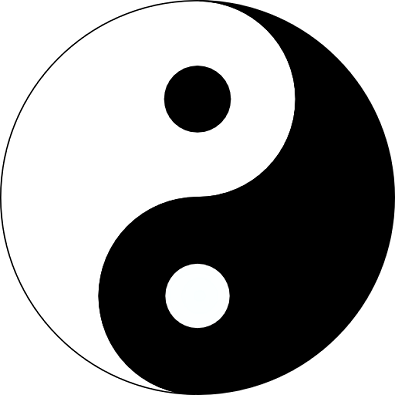 One way to look at this symbol is to imagine the white as the light of your spirit and the black as your inner Soul light. This is a mystery that touches into and pervades all life. At this place on the wheel, your Yang energy, the energy of the Sun, which is outgoing and masculine, has manifested to it's fullest. A little bit of Yin, Moon, feminine energy, now begins to emerge as your Full Moon progresses. Full Moon light gives us the AWARENESS to SEE what it is we have been creating. The FORM that your life has taken will become evident. The culmination of the first half of your journey here at Full Moon may bring excitement, drama, peak experiences, or it may bring defeat, a sense of failure, or a new consciousness. Usually a little of both is occurring. 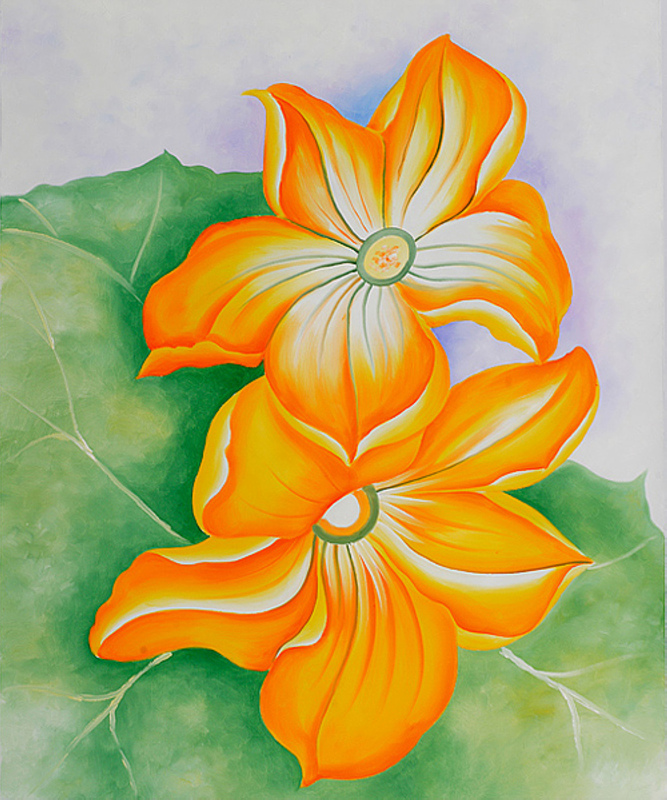 In the cycle of the plant’s life, the FLOWER is BLOOMING! The beautiful crown of your efforts is manifest for all the world to see. Your full Yang powers have manifested and now a new receptivity begins to be felt. This is your newly expressing YIN or feminine energy! The purpose of the flower in the plant kingdom is to attract honeybees so that it can be pollinated and create the seed for a new life, but in the full moon we are still living out the glorious fullness of our prior seed dream. 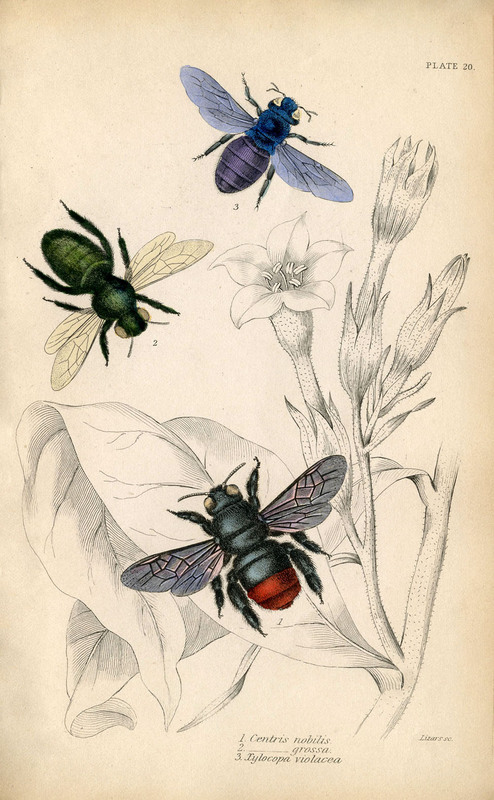 Honeybees are busy, busy, busy, and you will be too as you live out this Full Moon, the purpose for which this cycle began. The flower, the feminine form, desires to be pollinated by its’ masculine counterpart and so it grows to its fullest expression at Full Moon. You are at the place of the outer sacred marriage. This marriage will make your flower pregnant with new seeds. But before this marriage of opposites can take place there are buds becoming flowers. There are flowers blooming and swaying in the breezes. You are in the process of blooming and making discoveries about the real nature of your life. During this exciting time of revelation you will want to stay AWAKE! It can be a time of great illumination for you. Your flower reflects back to you the nature of your life. Is it all that it can be? You live in a human body in a material world and it is likely you have been seeking some perfect outcomes, but your Full Moon time is here so that you can see what is really REAL and what is NOT WORKING OUT AS YOU HAD INTENDED. 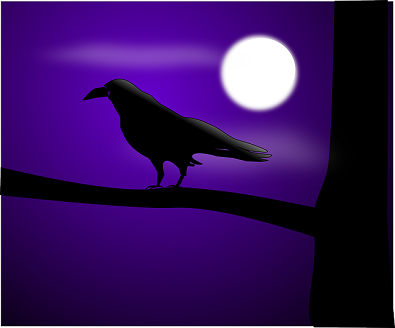 POWERFUL CROW MEDICINE - KEEPER OF THE COUNT! Your life’s FORM at this time is the Full Moon’s well-rounded image of spiritual reality, yet it is only an IMAGE. Your real power lies within, not in the flower as it seems. And this is the MYSTERY made manifest. You have embodied and are now fulfilling your New Moon Dream... and at the same time you are preparing yourself to be pollinated. It is important to recognize and give yourself credit for your creations. A vital part of the waxing, or moving-towards-fullness part of your journey has been an activation of your ego – we need our ego because it is the vehicle that creates our personae so that we can have something with which to go forth in the world with – our identity, our roles, the forms we act through in order to express our purpose. We are human; we are more than our instincts. Our ego gives us our sense of our self while we our in our bodies. But the ego, for all its glories, can never be sated. Our ego or outer life is not our whole self. Our real and true immortal self lies within, out of view from the rest of the world. And so, the ego pushes relentlessly trying for something it can never have – immortality, wholeness, timeless eternal existence. Recognize this. "You cannot really have the world and hold on to it. It is all too temporary. And the more you try to hold on to it, the more it actually holds you. By contrast the more you hold on to the true and the good, the more you are free to really live." You cannot have it all, at least in the outer world. But you do have something to show to the world and this is the FLOWER of your Journey. What have you accomplished up to this point? Take time to rest and enjoy the wonder of it all! Notice the clearly developed parts of yourself that have never been in this place of mastery before. This is what the goddess is saying to you: “Your body is my church, the holy temple of my essence made manifest”. So even though your ego still craves more, you have achievements that you can recognize here at your Full Moon Phase. 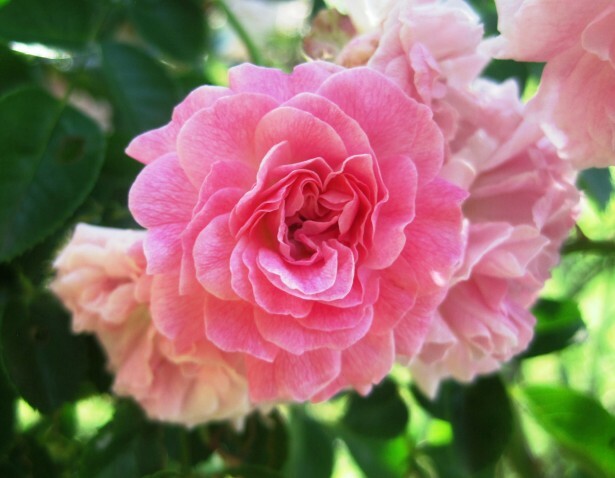 Your many buds will unfold into beautiful flowers one at a time as this phase progresses. You enter the REALM OF LIFE at Full Moon Time. You will see that everything is not perfect as you had DREAMED but it will be “good”. You remove your expectations and exchange them for REAL LIFE which will soon fertilize you with a new idea, a new seed, a new child. You are about to begin the building of your (new, more whole) SOUL, but not until each Flower has bloomed and it reveals to you its beauty and truth. ROSE QUARTZ IS A HEART STONE - IT CAN CULTIVATE AND BRING SOFTNESS AND LOVE, SELF LOVE OR THE LOVE FOR OTHERS. Your heart is a messenger of your soul. The development of your heart comes to fullness at Full Moon time. You will be tested at our heart level during this Full Moon time to see what elements of your life your heart can continue to enter into. If you are not truly soul connected to these forms, or the forms have outlived their usefulness to the soul, they will die out and this will manifest for you as a split from your past that can come at this time. What is no longer useful for your soul's growth is about to be eliminated from your life by the end of this phase!